Due to there being multiple offers on this property, management is requesting a Highest & Best from each buyer. Agents need to resubmit their best offers. Offer must be submitted by 4/10/2019 5:00 PM Mountain Standard Time and we will make a decision by 4/16 Foreclosure, sold in its present condition. No allowances for the repairs. 71/49 Highway to 55th Street, West to Garfield, North to the property on the right. Kansas City is located in Missouri. Kansas City, Missouri 64130 has a population of 475,378. The median household income in Kansas City, Missouri 64130 is $45,376. The median household income for the surrounding county is $46,917 compared to the national median of $53,482. The median age of people living in Kansas City 64130 is 35 years. 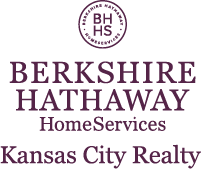 I am interested in 5121 Garfield Avenue, Kansas City, MO 64130.